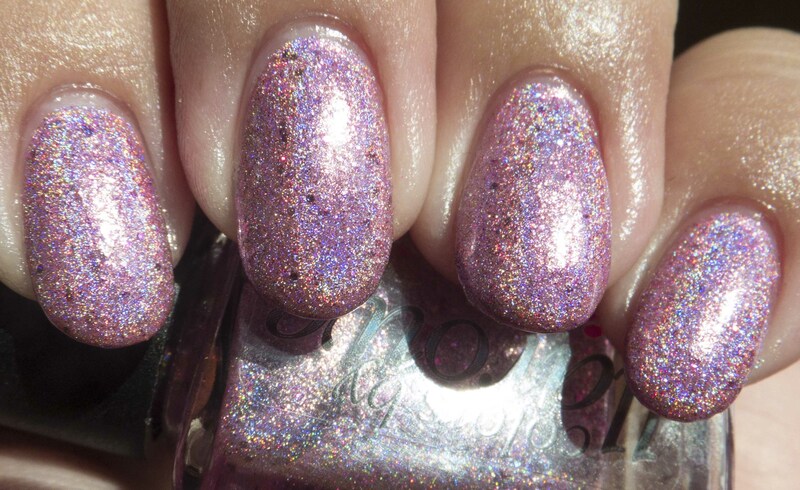 Colors by Llarowe Talk to the Hand is a beautiful color…it’s this gorgeous purple-red scattered holo that one has to see in person to believe. 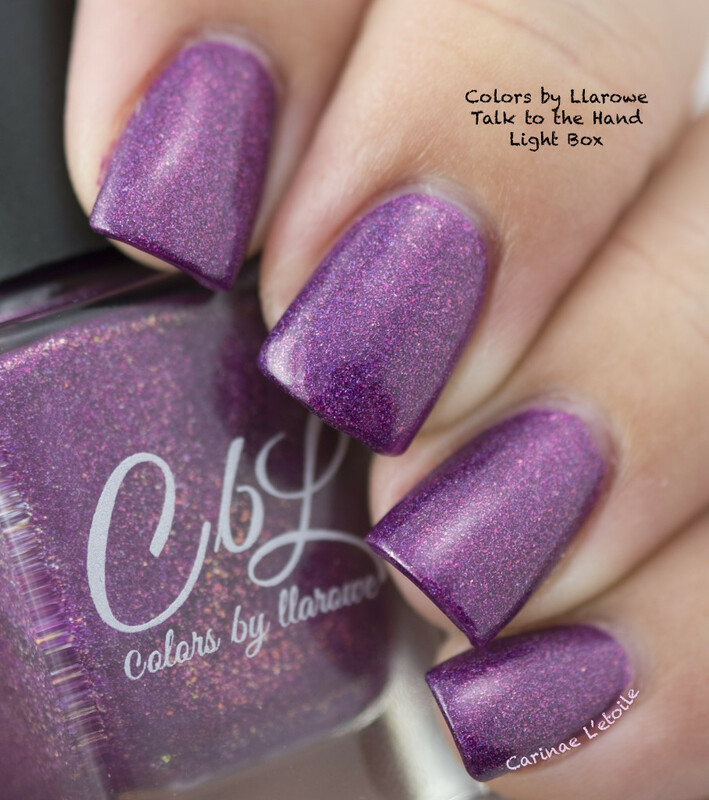 Unfortunately, Colors by Llarowe Talk to the Hand is no longer available as it was the Polish of the Month for September 2015. It’s a gorgeous color that’s a beautiful not-quite purple and not-quite red. Some have described it as mulberry and others have just called it purple. Such is not the case! There is also a bit of a scattered holo to this pretty girl. I actually like to think this is more on the magenta side. What do you think? Colors by Llarowe Talk to the Hand is opaque in two medium coats and it goes on oh-so-smooth, just like other Colors by Llarowe polishes. 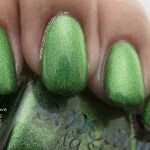 Below are the untouched and unprocessed images of Colors by Llarowe Talk to the Hand. Enjoy. You can see the flecks of magenta in this light box shot. 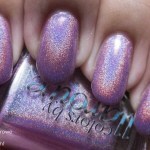 In the following images of Colors by Llarowe Talk to the Hand, they completely shine in direct light. 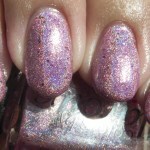 Looking a little purple-y with red undertones, but with a gorgeous flash of scattered holo. Well hello pretty girl! 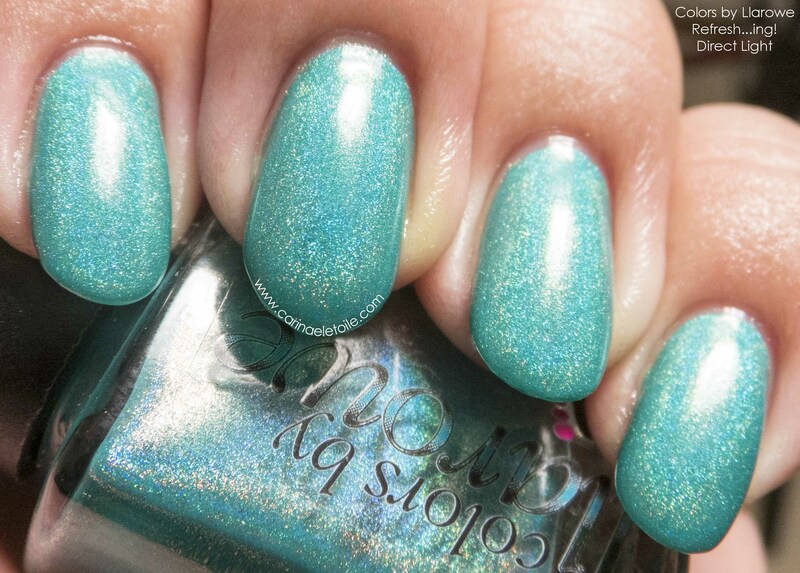 This is my favorite shot of Colors by Llarowe Talk to the Hand. Now that you’ve seen this, do you regret not buying it when it was available? Have no fear, though. 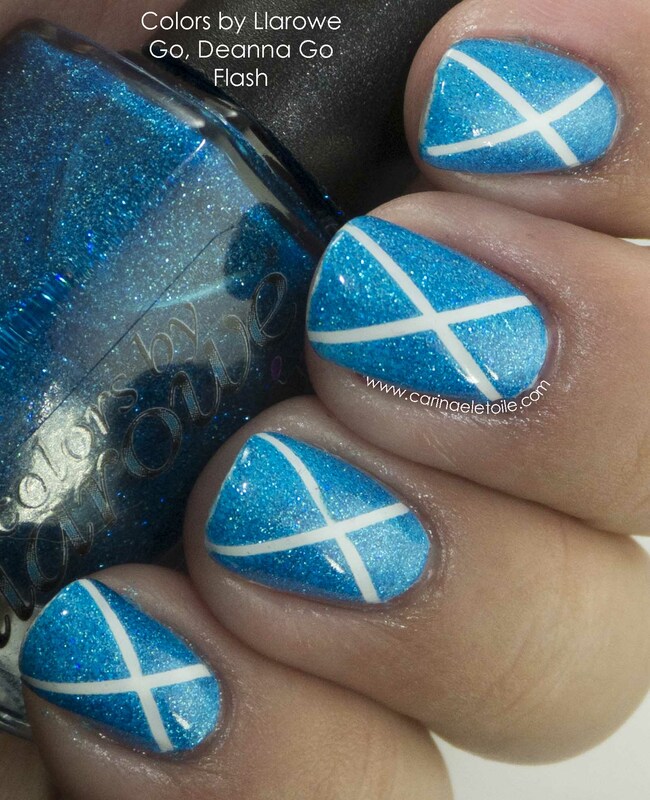 Colors by Llarowe has a new polish color every 1st of the month, starting at noon MST. It’s available only for that day, so set a timer/reminder so you don’t miss something like this!